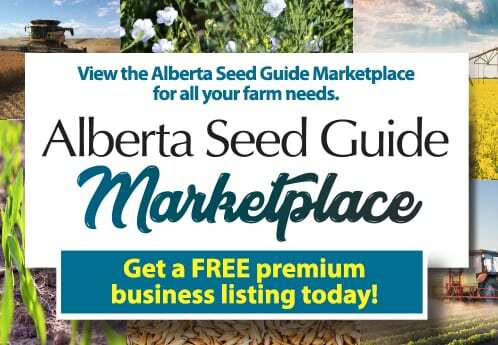 With harvest underway in Alberta, a reminder that a step to marketing is knowing the product that you have to offer. Neil Blue, provincial crop market analyst with Alberta Agriculture and Forestry, looks at the importance of harvest crop samples. The samples should be stored in a sealed contained to identify the source bin. “This container should keep out rodents and insects and preserve representative moisture content to maintain sample integrity. Some grain companies provide zip lock bags just for this purpose, which in turn, could be kept in a larger sealed container,” adds Blue. Unofficial grade for each sample submitted. Dockage assessment, oil, protein, and chlorophyll content for canola. Oil, protein, and iodine values for flaxseed. Oil and protein levels for mustard seed and soybeans. Protein content on barley, beans, chick peas, lentils, oats, peas, and wheat. Deoxynivalenol (DON) content and Falling Number for wheat.